Ganesh Chaturthi is also known as Vinayaka Chaturthi, celebrated on the occasion of birthday of Lord Ganesha, the son of Lord Shiva and Maa Parvati. Ganesha is widely worshiped as the god of wisdom, prosperity and good fortune and traditionally invoked at the beginning of any new venture or at the start of travel. Ganesh Chaurthi is celebrated all over India, mainly in Western and Southern states of India. To know more about Ganesh Chaturthi please check wikipedia, http://en.wikipedia.org/wiki/Ganesh Chaturthi . Rava is a Hindi word for semolina and Kesari is for saffron. 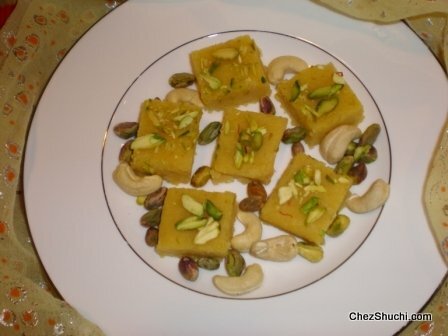 As the name shows this is a sweet porridge (halwa) preparation made with semolina and saffron. Rava kesari taste different than North Indian sooji ka halwa. 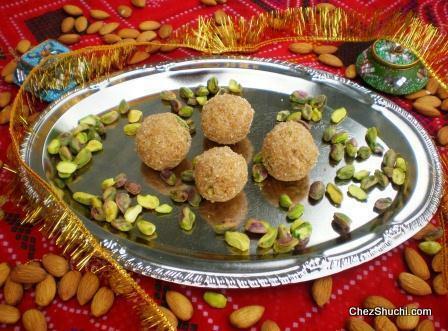 There are different recipes of making semolina halwa in different regions of India. Lauki ka halwa is a very popular and traditional dessert, made all over India. Lauki or bottle gourd is a vegetable which is eaten in many of the families in the days of fasting. There are so many different ways to make lauki ka halwa...I have realized this is the best liked recipe of Lauki ka halwa. some photos for party planning and party organization/ bulk cooking!